Official Training runs are underway this week - mornings and evenings at the Track (Check the Calendar for times) and racing begins on Friday morning beginning with Skeleton at 9:30 am and 2man/woman bobsleigh at 6pm. Saturday morning at 9 am for Skeleton once again and 4 man bobsleigh at 6 pm. 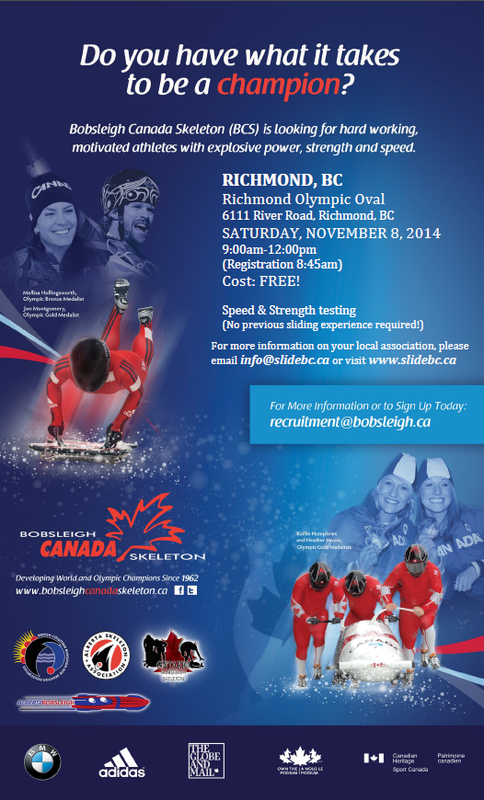 Come out and see the Canadian National Bobsleigh and Skeleton teams compete on the "Fastest Track in the World"! Do you like to go Fast! This Valentines day come out and show your love for the sliding sports. 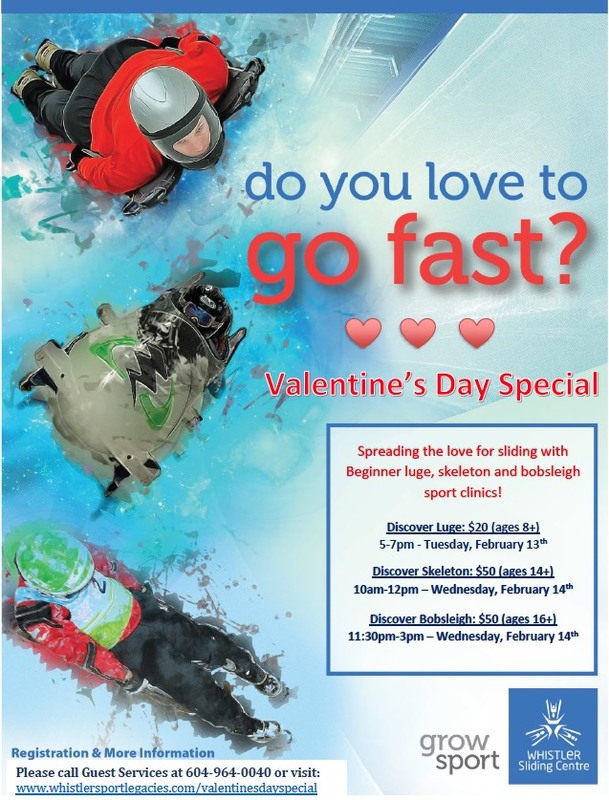 The Whistler Sliding Centre is offering Bobsleigh and Skeleton for $50 on February 14th and Luge for $20 on February 13th. Prizes available! Call 604-964-0040 to book in today before they are sold out! $45 for Bobsleigh 16+ years old. You will actually pilot your own bobsleigh! 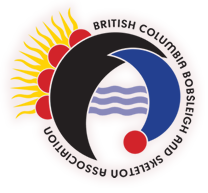 Read more about BC Cup #1 & 2 Registration is now open! Read more about New Talent ID Event (with Strength Testing) added! Read more about Back to School - on the ice!